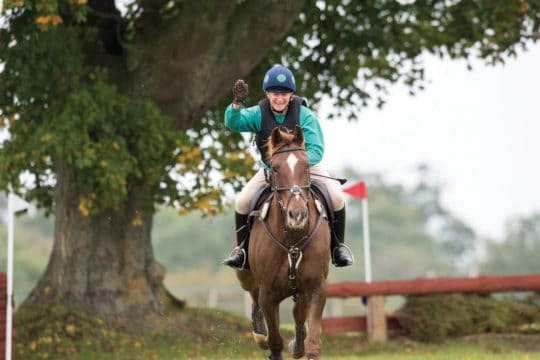 When walking a showjumping course it’s easy to focus on the fences, but as much, if not more, attention should be paid to the route between them. Identifying the optimum line between fences, and staying on it, makes the course much easier for you and your horse. 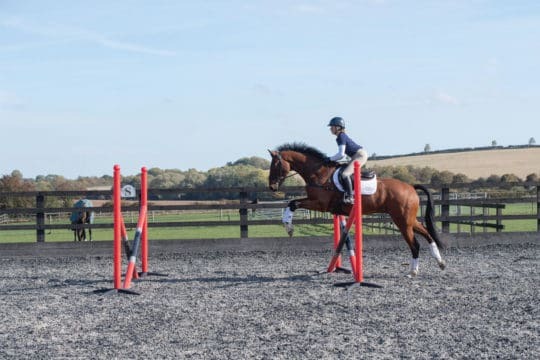 Much emphasis is put on getting a good distance to a fence and when things go wrong it’s normal to blame your eye for the mistake, causing you to doubt your judgement and affecting your confidence. However, in most cases a poor distance is the result of failing to ride the line your eye saw, rather than your eye picking a bad one. For example, it’s common to inadvertently cut corners or drift out beyond a curving line that your eye has seen, making the route you’ve ridden half a stride shorter or longer. 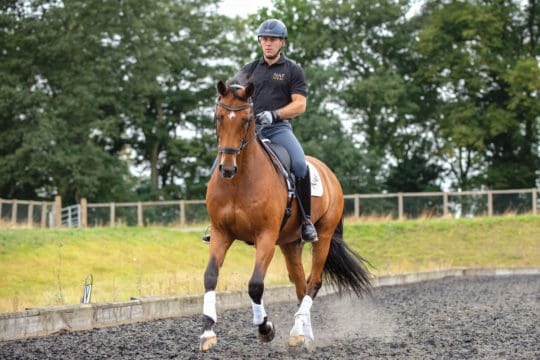 Most of all, riding the correct line will increase the likelihood of being on a good stride, and your horse will be more likely to jump straight, which makes maximum use of his power and scope. 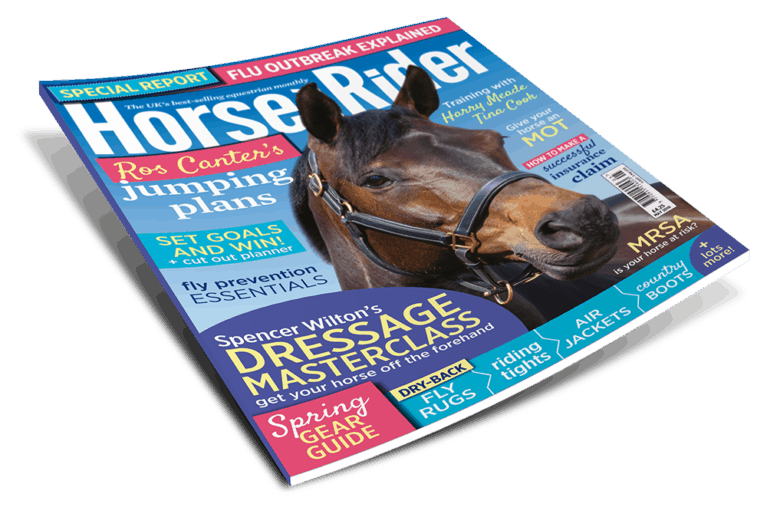 Once you’ve approached in the correct canter and on the right line, it’s your horse’s job to assess the fence and produce a good jump. He’ll jump better if he’s able to make a mental connection with the fence. If you’ve got hold of his mouth, though, it interferes with his ability to do this because he’ll be fighting for his head, not looking at the fence and assessing it. 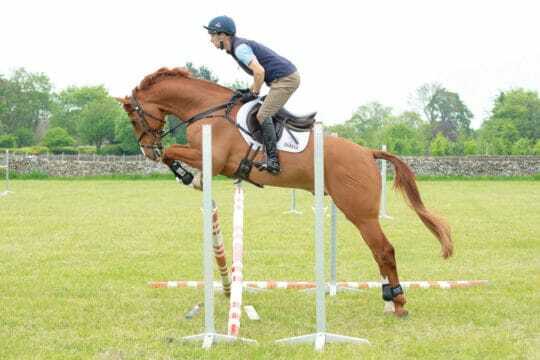 A tight rein will also deny him the freedom in his head and neck that he needs to jump well. A common error that many riders make is being backward with their inside hand through the turns. 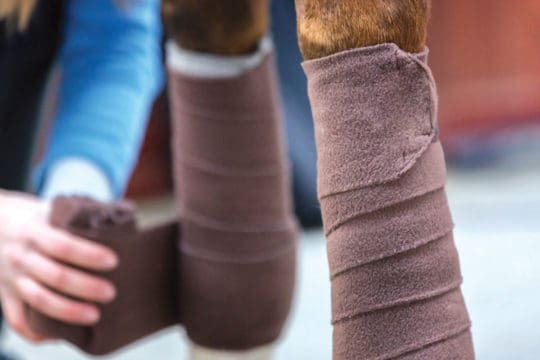 This turns your horse’s head to the inside, but also jack-knifes his neck, causing his shoulder to fall out. Horses always follow their shoulder, not their head, so a backwards inside hand will cause him to drift out to a wider line. Instead, try opening your inside hand forwards and up – almost as though you’re thumbing a lift. 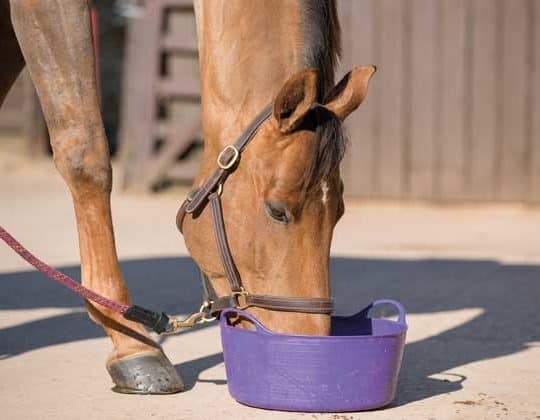 Keeping your inside aids soft and using your outside ones to offer security helps your horse to follow your desired line in a balanced way. 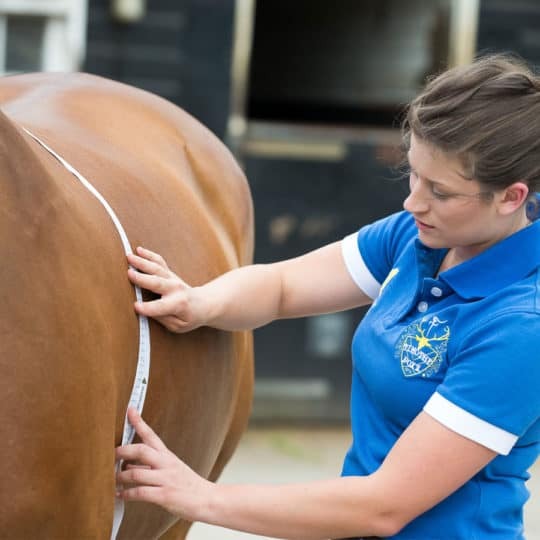 In canter, your horse should have his hindquarters engaged, but your contact should allow his neck to stretch because he needs this to balance. 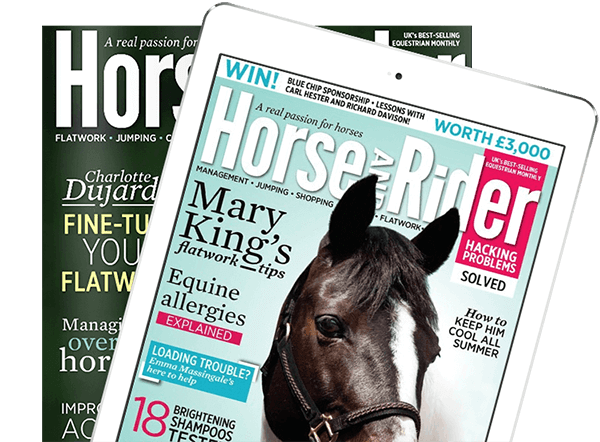 Find Harry Meade’s top exercise for riding the optimium line between fences in May Horse&Rider, on sale 4 April.